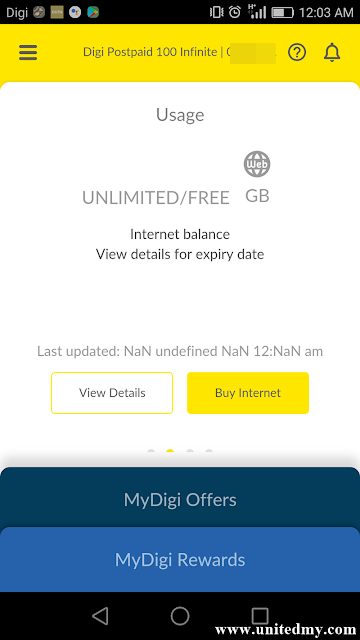 Digi new prepaid and postpaid plans are the hottest topic in its own league. It takes them a while to use the term "unlimited" data as in the past only home internet get to use it. soem of us are happy and contented with unlimited data surfing Facebook and Instagram after monthly data depleted. But, as compeittion started to heat up, some company just has to pick up the challenge. They know we like Facebook and Youtube. However, the consumer wants more just surfing Facebook or Instagram. Most notably, they crave more data, coverage and Internet speed. In recent years, they have been rolling out plan with data for watching movies on specific platform such as Youtube or iflix. In order to have advantage in a competition, there was not many other choice but listen to consumer demands and giving out more to the public as we are talking about small profitable compay. To be speific, unlimited data with enabled hotspot are just a great combination in successfully attract more subscribers before the end of the year 2017. Digi newest plan RM100 is the lowest price you can get in the market for unbeatable bargain.It is literally designed for those who tried to squeeze every penny for their own. You cant get any lowest than that anymore. The plan can feed your data-hungry mobile and computer as you wish. Turn on your apple or android update or set it automatically update as you like without rely on home or someone else WiFi. If you still have an issue with it, please just subscribe RM150 and any of your worries are no longer your concern. It even shocking fact that in the first quarter of 2018, Digi rolls out just another awestruck prepaid plans for you to have unlimited data on weekend without elaborate more on the speed. With these plans alone sent out a shockwave to the mobile community for a change of plan due to Digi new prepaid plan can be as low as RM38. It will be hard time for other companies's mobile Internet plan to caught up, well, we are already excited what are their new plans to counter besides just racking up so many profit.